In effort to stave off the effects of increased gambling in Massachusetts, the General Assembly last month approved several measures concerning Twin River Casino in the final days of the 2014 legislative session, especially the one that will allow Twin River to issue lines of credits of up to $50,000 per patron. 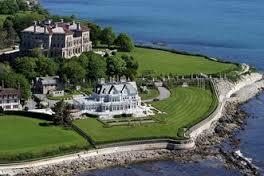 Now it’s Newport’s turn, only successful gaming expansion has eluded this elite resort city. Yes, Newport. Yahoo describes it below. Sit back, close your eyes and just let your mind wander…..
Gov. Lincoln Chafee sealed into law last Thursday legislation sanctioning a referendum to let electorate confirm in Nov on Newport Grand’s renewed casino drive, basically supporting the idea that a casino would work if authorized by electorate statewide and in Newport. The onslaught has already begun – in Plainville, just over the border, Penn Gaming says it’s going on with construction and plans for it’s slots only casino at Plainridge Raceway. That opening, if allowed, will be only a year away. The expansion in Mass includes a southeast Casino/Resort, with Foxwoods the sole application, but recently the Mass Gaming Commission pushed back the application process for the Southeast to entice more applications – another direct competitor to Twin River and Newport. Addition of revenue WITH the existence Mass casinos isn’t the issue anymore – it’s lost revenue and lost jobs to Rhode Island residents. Trying to keep up with the Jone’s up north and east is now a do or die situation. WITHOUT Massachusetts expansion, it now becomes an open window, no – an open barn door, for revenue from frustrated Massachusetts patrons. However, without the expansion, Rhode Island still may be tested by the sovereignty of the Mashpee Wampanoags, if they ever get federal and local recognition. 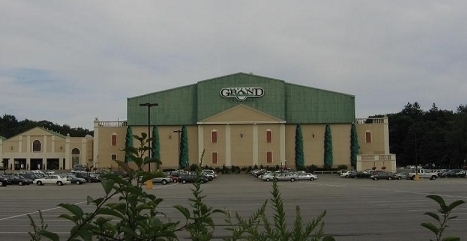 I see the addition suggested by Newport Grand financier Joseph Paolino, which in a previous post I outlined his plans for a Monte Carlo style casino to fit with the Newport area, a positive concerning additional jobs and lower taxes for Newport residents. November is becoming an important month for New England residents, with referendums in Massachusetts and Rhode Island affecting CT, NH, and Maine. Where’s my Magic 8 Ball when I need it. When I dig up my old Ouija Board, I’ll let you know what the outlook will be. Until then, like you, I guess I’ll just have to wait and see what happens. Mass Casino Repeal Opens New Hampshire Casino Consideration – AGAIN?